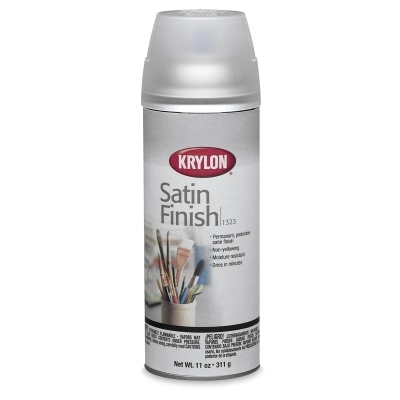 Krylon #1323 Satin Finish Fixative provides a permanent, protective satin finish that will not yellow with age. Moisture-resistant and smudgeproof, this fixative dries fast and clear for protection of artwork, crafts, and valuables from dirt and discoloration. After application, Krylon Satin Finish is dry to the touch within 10–15 minutes, and dry to handle within one hour.